A Whole Foods store at Yonge and Sheppard in Toronto, Sept. 26, 2014. Have you ever walked into Whole Foods and felt overwhelmed by aisles brimming with locally sourced, organically grown, antioxidant-packed products? Or blushed when you reached the register and realized you forgot to bring your own grocery bag? Now the grocery store chain is introducing a grading system for its produce. Fruits, vegetables and flowers will be labeled "good," "better" or "best," based on the supplier's farming practices. The ratings are based on farms’ pesticide policies, soil health, water conservation, solar energy techniques and more. It's another way Whole Foods aims to get nutrition information into customers' hands, the brand told ABC News today. "We want to support the healthy eating of our shoppers," said dietician Allison Enke, a Whole Foods "healthy eating expert." "We feel like we do a good job of providing customers with options," she added. 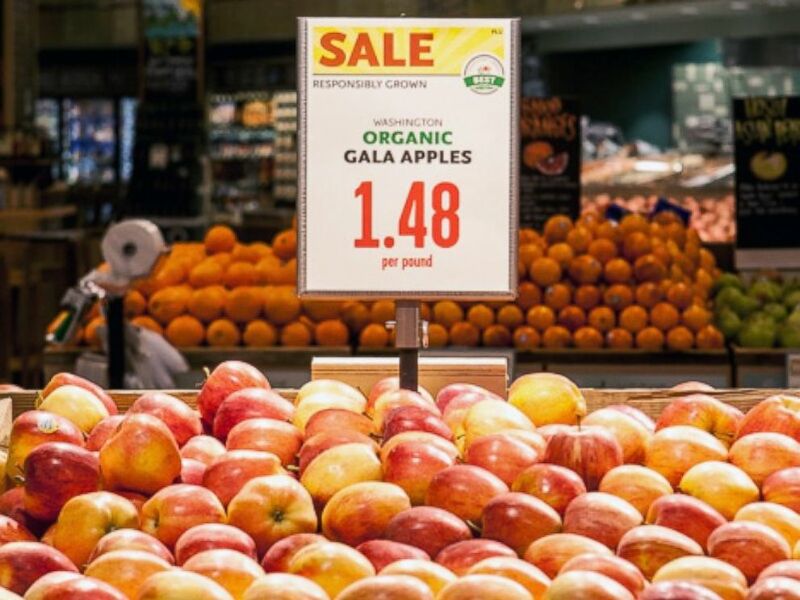 Organic gala apples are seen in a Whole Foods. But all those options may be overwhelming for some shoppers. "The quirky products throw me off a little," Betsy Watson, a publicist in Asheville, North Carolina, told ABC News today. "I thought I was already doing great buying coconut oil; now I need to get extra virgin coconut oil that came from an island?" Watson shops at Whole Foods but says she sometimes feels tricked into buying "healthy" products that never get eaten. "I get home and think, ‘Why did I buy dry kale chips with an organic ranch flavor?’ Which gets thrown out when no one in my household eats them," she said. The brand definitely shames shoppers into eating healthy -- and that's a good thing, chef and nutrition instructor Dawn Viola said. "Whatever works to encourage them to make healthier choices for themselves and their family, I'm all for it," she said. A Whole Foods Market in Lakewood, Colo.
"But they might be more overwhelmed than shamed when they walk in, because there is so much," Viola added. "As soon as you walk in, you're hit with this beautiful display of fruits and vegetables and that can be overwhelming to someone who is not used to cooking or eating well." Viola said shoppers who complain prices of healthy foods are too high need to check their grocery lists. "It's a bit of a myth," she said. "I think what people are doing is buying healthy, organic foods but they're still buying all the processed foods as well. All those packaged foods are really expensive. But if you phase out all of those processed foods, it can be really affordable." Whole Foods has healthy eating experts on hand in stores, it says, and nutrition information and recipes posted throughout the store and on its website. The message is also passed down to employees, who get extra discounts if they ditch smoking and meet certain cholesterol and BMI requirements, for example. The chain says it's not forcing people to eat healthy; it's just giving customers what they want. And many are pleased with the abundant messages about nutrition. 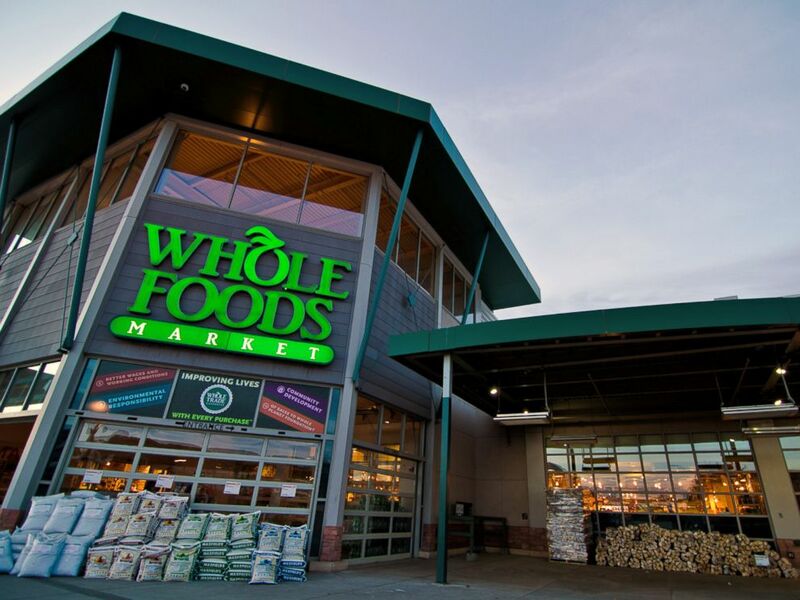 "I go to Whole Foods because I want to eat healthy," Colorado shopper Cammi Balleck told ABC News. "I never feel scammed into buying more."